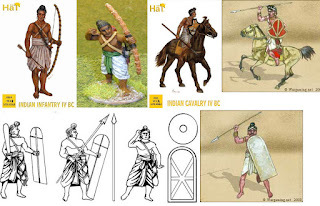 Indus valley is a Dravidian civilization not Aryan.Aryans are pastoral nomads and invaders,they never had a civilization like Indus valley till 500 BC. Following analysation of historians on the Indus Valley Civilization here gives some clues which support dravidian theory. 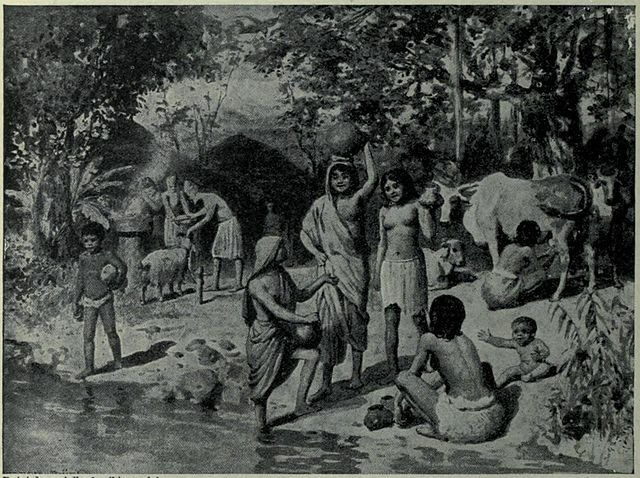 1]The picture of Indo-Aryan society portrayed in the Vedas is that of a partly pastoral,partly agricultural people,who have not yet emerged from the village state,who have no knowledge of life in cities or of the complex economic organization which such life implies,and whose houses are nondescript affairs constructed largely of bamboo.At Mohenjo-daro and Harappa,on the other hand,we have densely populated cities with solid,commodious houses of brick equipped with a adequate sanitation,bathrooms,wells,and other amenities.Also Rig vedas particularly described Indra as destroyer of fortifications, e.g. RV 4.30.20,which says: "For Divodāsa, him who brought oblations, Indra overthrew A hundred fortresses of stone." 3.For offensive weapons the Vedic-Aryans have the bow and arrow,spear,dagger,and axe,and for defensive armour the helmet and coat of mail.The Indus people also have the bow and arrow,spear,dagger and axe,but,like the Mesopotamians and Egyptians,they have the mace as well,sometimes of stone,sometimes of metal;while on the other hand,defensive armour is quite unknown to them.For example, Rgveda -10,95,03 which is a dialogue between Purüravä and Urvasi also mentioned about bow and arrow as below:Purüravä:"Like a shaft sent for glory from the quiver,Or swift steed winning cattle,Winning hundreds,The lightning seemed to flash,As cowards planned it.The minstrels (singers) bleated like a lamb in trouble"Also Rig-Veda,Book 6 HYMN LXXV. speaks about Weapons of War. 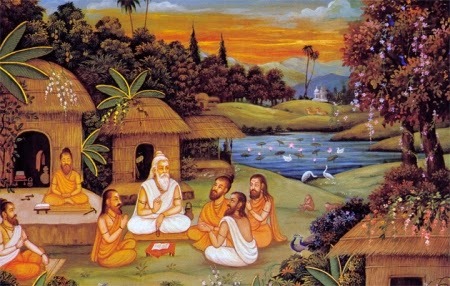 4.The Vedic-Aryans are a nation of meat-eaters,who appear to have had a general aversion to fish,since there is no direct mention of fishing in the Vedas.With the Indus people fish is a common article of diet,and so,too,are molluscs,turtles,and other aquatic creatures.For example,Rig-Veda, Book 10,HYMN XCI. Agni.14 "He in whom horses, bulls, oxen, and barren cows, and rams,when duly set apart,are offered up-To Agni, Soma-sprinkled,drinker of sweet juice,Disposer,with my heart I bring a fair hymn forth." 5. In the lives of the Vedic-Aryans the horse plays an important part,as it did in the lives of many nations from the northern grasslands.To the people of Mohenjo-daro and Harappa the horse seems to have been unknown.In Rig-Veda,Book 10/HYMN XCVI. Indra/8,It says:" At the swift draught the Soma-drinker waxed in might,the Iron One with yellow beard and yellow hair.He,Lord of Tawny Coursers,Lord of fleet-foot Mares[a female horse],will bear his Bay Steeds safely over all distress." Also like above,There are repeated references to the horse in the Vedas (1500 - 500 BC).In particular the Rigveda has many equestrian scenes,often associated with chariots.Further,The Indus Valley people do not appear to have been in possession of the horse: there is no osteological evidence of horse remains in the Indian sub-continent before 2,000 BC,when the Aryans first came to India,and on Harappan seals and terracotta figures,horses do not appear.Other than the archaeological ruins of Harappa and Mohenjodaro,these seals provide the most detailed clues about the character of the Indus Valley people.Bulls and elephants do appear on these seals,The revered cow of the Hindus also does not appear on the seals. with special veneration.For example,Rig-Veda, Book 6 HYMN XXVIII./1-8 speak about cows.Further,1.126.3,says:"Horses of dusky colour stood beside me, ten chariots, Svanaya's gift, with mares to draw them.Kine[cows] numbering sixty thousand followed after. Kakṣīvān gained them when the days were closing." Among the Indus people the cow is of no particular account,its place with them being taken by the bull,the popularity of whose cult is attested by the numerous figurines and other representations of this animal. 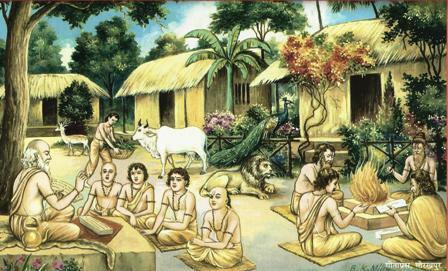 7.Of the tiger there is no mention in the Vedas,and of the elephant but little. Both these animals are familiar to the Indus people.For example,In the Rig Veda,animal with a hand[Mrga Hastin] occurs twice,one in RV 1.64.7 as: "Mighty, with wondrous power and marvellously bright, selfstrong like mountains,ye glide swiftly on your way.Like the wild elephants ye eat the forests up when ye assume your strength among the bright red flames." An equivalent word for elephants in Tamil is "kaimmā" (கைம்மா) which also means "animal with a hand".as in Kalithogai, 23; "இலங்கு ஒளி மருப்பின் கைம்மா"–elephants with shiny bright tusks and Purananuru 368:ஒளிறு மழை தவிர்க்கும் குன்றம் போல,கைம் மா எல்லாம் கணையிடத் தொலைந்தன-the elephants with trunks, large like mountains that block clouds, have fallen to arrows. 8. Rig Veda mentions many female deities but none of them is central to the text,the female element is almost wholly subordinate to the male.Among this minor female deities,Ushas is the most celebrated goddess along with Aditi,Prithvi,Rathri,Sarasvathi and Vac.Among the Indus cults the female elements appear to be co-equal with,if not to predominate over the male. 9]The study also indicates that the Indus Valley writing was not used to write an Indo-Aryan language,because the Aryans did not arrive in India until after 1700 BC. 10.Siva lingas which are found in the Indus valley civilization is later on degraded in the Vedas. 11.The Indus valley deities normally have horns where as deities of the vedas are not portrayed with horns,For example,Indus valley's god Pasupathi is being depicted with bull-like horns. 12.The vedas describe the wheels of the chariots with spokes,but the wheels that are seen on the seals & vehicles of clay in the Indus valley do not have wheel with spoke.